Here at Muck Rack, we’ve written more than once about the importance of creating and publishing great content. And in case you needed proof that we also practice what we preach, we’re happy to say we’ve published more than 170 blog posts to the Muck Rack blog in 2018! Let’s give 2018 a proper send-off by taking a look back at some of our most popular posts from the year. We've determined the top 18 blog posts for the year based on Google Analytics web traffic and included some fun social sharing stats using the Muck Rack Bookmarklet where you can find out who's sharing any link in one click by installing Muck Rack in your browser. 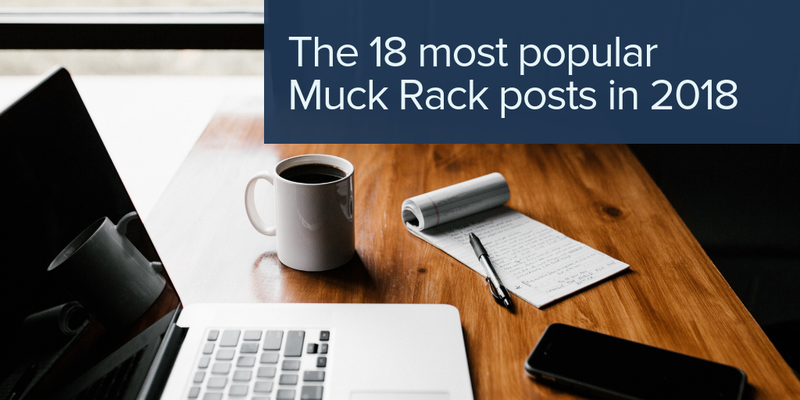 Check out the top 10 posts below and read the full post on the Muck Rack blog for the complete list!